So, just how bombastic, overblown, willfully obscure, magnificent, portentous, histrionic, eccentric and mental is LR’s new record? Well, there’s a moment, as Siddharth morphs into the epic prelude ‘Time to change’, when a guitar effect that sounds like it’s heralding the destruction of the universe gives way to the sound of Amitabh’s warrior-like screams. Then there’s the Coldplay-esque ‘Lost’ where Amitabh wails almost as if he’s Chris Martin’s prodigal son. There couldn’t have been a better way of showcasing the extremes that the band can drive its sound into. 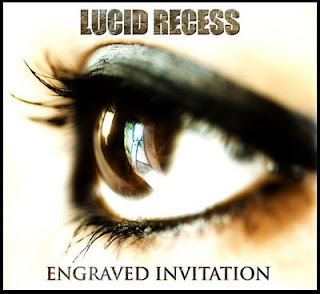 Lucid Recess, as the name depicts, are classic whipping boys for the ‘Keep It Real’ campaigners, having never written songs about bouncers, waiting for taxis or fancying girls on dance floors. And that I don’t think is going to change any time sooner, with the intensity that the band has put out, with tracks like ‘What’s it to me’, ‘Away’ and ‘Colorful Déjà vu’ on Engraved Invitation, their first full-length outlet. A very mentionable element about the album is that LR has put in lot of work into song-writing, this time around. I’m sure this album will amaze listeners and poets alike. When Amitabh enters into the acoustic domain with their second un-electric effort ‘B.y.t.c’, it almost starts seeming like Syd Barrett’s’ song-writing capabilities were entrusted upon Amitabh after the latter’s death. Jolly good work, I must say! All in all, the greatest way to inaugurate your summer. If you’re an old LR fan, you’ll love this album. If you are new to LR, you couldn’t have discovered them at a better time. Get busy now! This is another must-have in your Indian-rock collection.